Since shortly after the arrival of Intel Macs, it's been fisticuffs at dawn for Parallels and VMware, with each company claiming to have the best virtualisation product. With Parallels' Desktop 4.0 Switch to Mac Edition, they throw a curveball – rather than this pseudo-update offering new features within the main application, it bundles in a single box everything a Windows user might need to switch to a Mac. 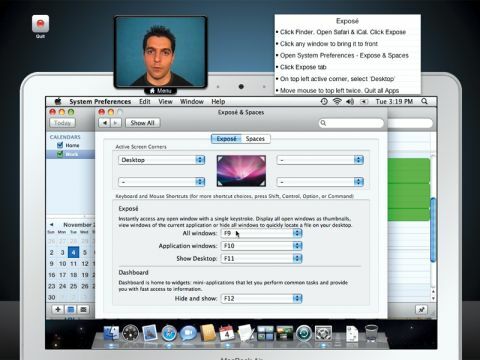 The bundle comprises three main components: tools for switching, tutorials for switchers, and Parallels Desktop itself. It's a good solution for running Windows in a window (and, during testing, seemed fine on Snow Leopard), with excellent device support, although we still think VMware Fusion is a more Mac-like app. That said, it has less of an edge than it could boast 10 months ago. But do the other elements within Switch to Mac Edition enable Parallels to grab the lead? Migration comes in the form of a bundled high-speed USB cable and Transporter software, which makes it relatively painless to clone an existing PC to a virtual drive. However, it's worth noting that this might breach Microsoft's EULA for OEM copies of Windows; Parallels suggests checking with your PC manufacturer and Microsoft, and reading the OEM Windows Migration document in the support section of Parallels' website, before trying this type of migration. The Switch to Mac Edition video tutorials come with no such concerns. Taking the form of Learn your Mac – a whopping half-gig Flash application – this aims to get Windows users up to speed with Mac terminology, teaching the basics of Finder and a handful of important Mac apps. The tutorials are universally friendly and extremely straightforward, and direct comparisons between Windows and Mac equivalents are made throughout. The interface is functional enough, given that it's trying to ape a complex operating system, but the tutorials occasionally prove slightly suspect when it comes to typos and Mac terminology. We understand what Parallels is trying to do. This box is an all-in-one solution, comprising quality software, reasonable tutorials and excellent documentation – all for the price of its rival (or its own standard version) plus a decent book on Mac OS X. However, we wish the videos had been braver and proved more integrative, encouraging a fuller transition to Mac's operating system, rather than the effective lock-in of having users mostly work with a PC within a Mac. We also question the cost of this solution. Had Parallels decided to more aggressively price Switch to Mac, it would have undoubtedly gained a competitive advantage and probably got the nod from us. As it stands, a decent book might lack interaction, but will potentially be more encompassing than Learn your Mac; in tandem with VMware Fusion, this might prove better value in the long run than this box from Parallels.